Its May means the season of pineapples. Saw some fresh green pineapples the other day in the super market and couldn't resist myself. Pineapple is a tropical fruit with a tangy and sweet taste. It is a great source of Vitamin C and low in calories. 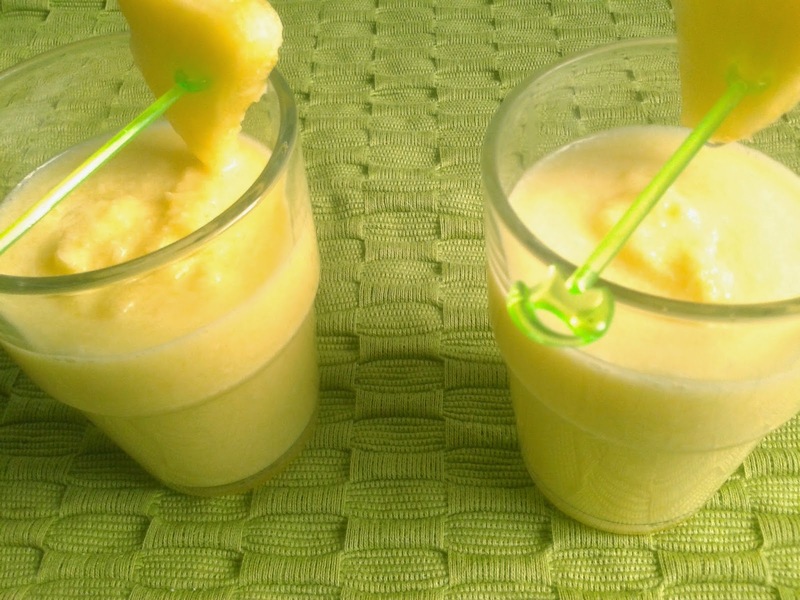 Nothing refreshes you after a hard days work like a freshly made Pineapple Smoothie. Besides it is very quick to make this smoothie and the only ingredient you need other then pineapple is some coconut milk or cow's milk. So lets proceed step by step. In my recipe of Pineapple Smoothie I have used coconut milk but you can use almond milk or plain cow milk also. It tastes best with coconut milk. Peel the Pineapple skin and chop it into small chunks. 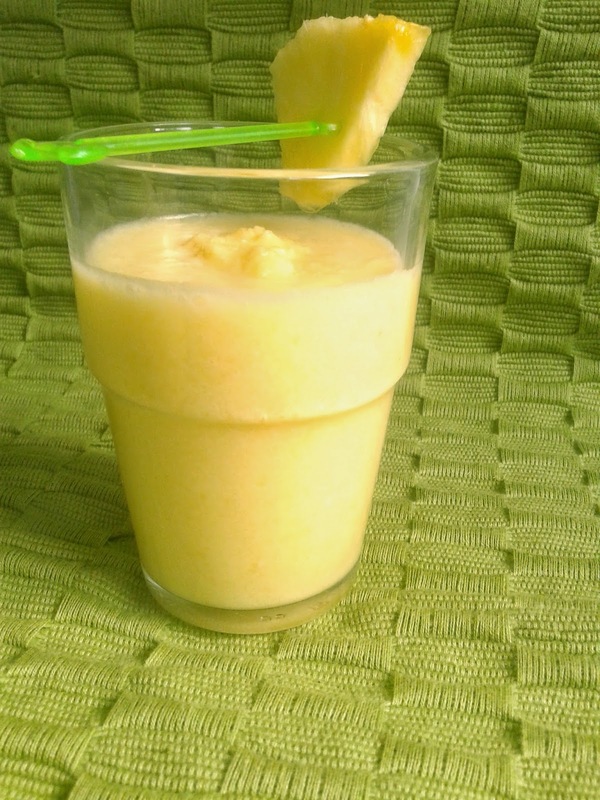 Place the chunks of Pineapple, little sugar and coconut milk in blender and blend it for 3 minutes. Pineapple smoothie is ready. 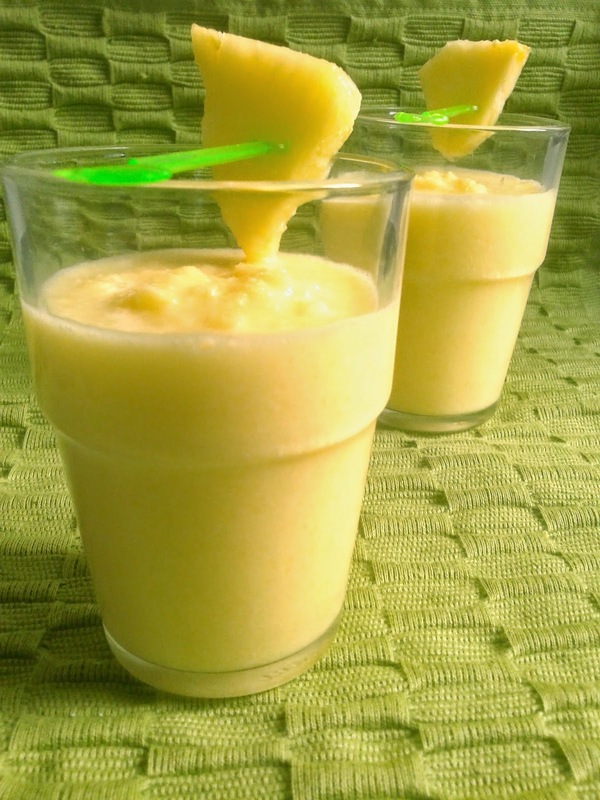 Place the chunks of Pineapple, sugar and coconut milk in blender and blend it for 3 minutes. Serve fresh with pieces of pineapple.